Every day we meet our full day children at Rocks Lane Multi Sport Centre in Barnes for breakfast. After a hearty and filling breakfast we will don our waterproofs and walk across the rugby field to our magical forest setting. 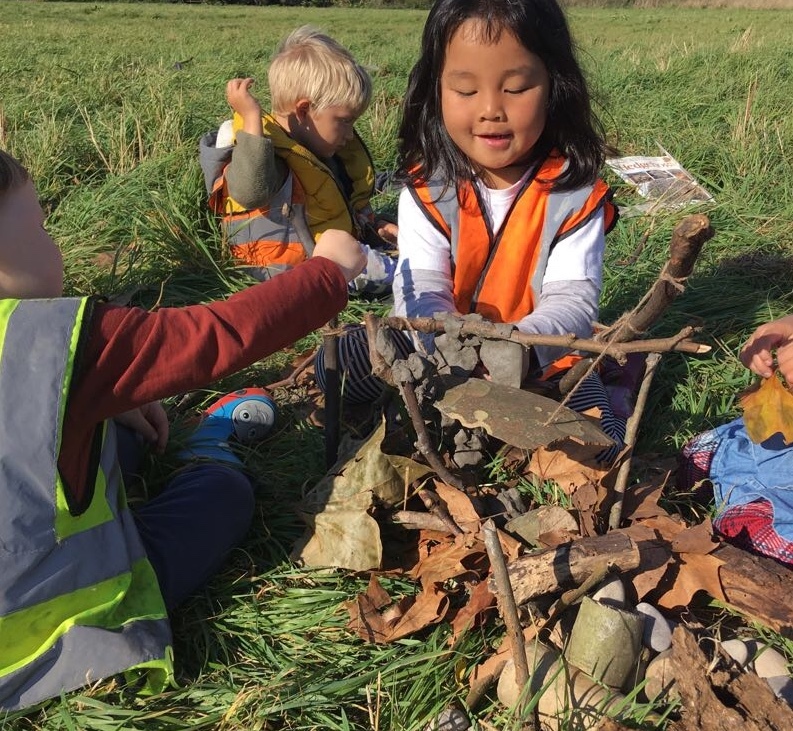 Activities in the forest can range from creating mud pies, treasure hunts, bark rubbing, mini beast exploration, experimenting with science, dressing up and creative role play to reading stories, mark making and mathematics in the forest. We are always on the move, balancing, running, climbing, coordinating and are always learning more about our world. We enjoy our morning snack, lunch and afternoon snack out in the forest, then towards late afternoon we make our short walk back to Rocks Lane Tennis Pavilion. Here we take time to reflect upon our day and discuss with the children what they enjoyed the most, using these discussions to help us plan our activities for the next day. We take children once they have turned two and we have a cosy rest area available for those children who need time during the day to relax or catch a quick cat nap. We do however recommend to get the most out of our forest experience that children wait to join us in the forest until they have dropped their long nap or are able to manage with a shorter sleep to ensure they don’t miss out on all our forest action. In order to keep our experience magical for the children we limit the number of children attending each day to 20 children. 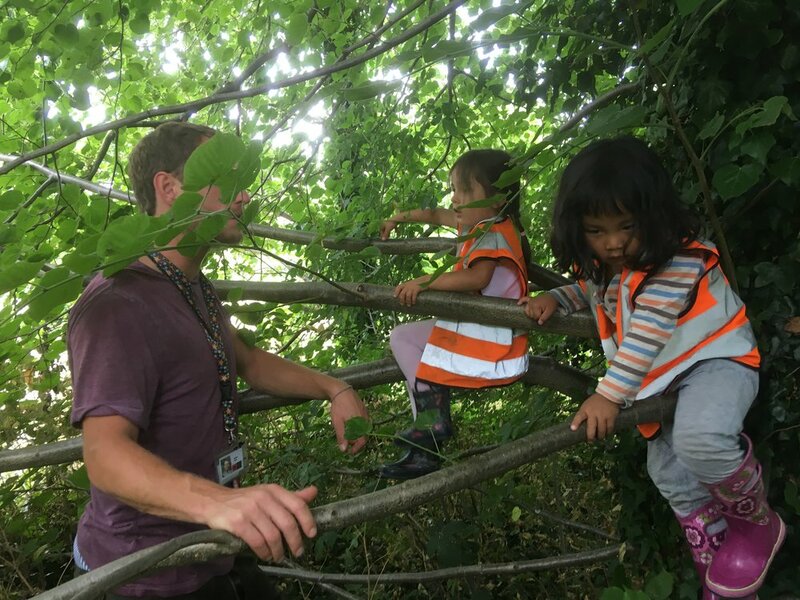 There are two options for attending Little Forest Folk Barnes, a Full Day or a Sessional Day. Full Days run 8am to 6pm, include breakfast, lunch and dinner, whereas Sessional Days are shorter days running 9.30am to 3:30pm, that include lunch. Both include a morning and afternoon snack. We ask for a minimum commitment of at least two days per week per child. We are based in the Rocks Lane Tennis Pavilion centre in a brand new fantastic space with wonderful views over the fields and forest. Our beautiful outdoor areas are just a few minutes walk away and contains a great variety of vegetation giving us an incredible environment to laugh, play and learn. Depending on your circumstance there are different ways to fund your child's place at Little Forest Folk. As a social-purpose business, Little Forest Folk offer a limited number of free places for full-time childcare to qualifying two-year-old children. If you are eligible for two-year-old government funding you will be eligible for our Little Forest Folk programme of free places. 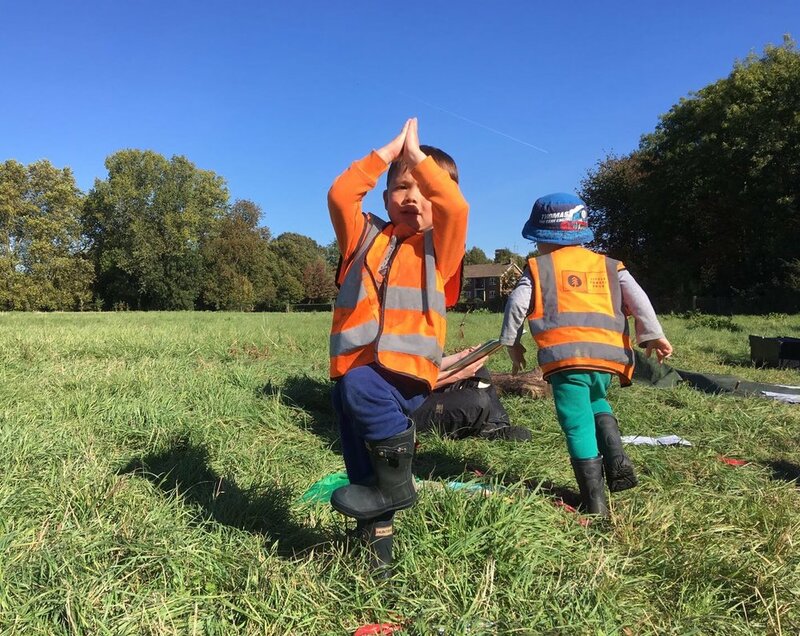 There are two options for attending Little Forest Folk Barnes, all year round Full Day or Term time only Sessional Day. Full Days include breakfast, lunch and dinner, whereas Sessional Days are shorter days that include lunch. Both include a morning and afternoon snack. We ask for a minimum commitment of at least two days per week per child. We run holiday camps during school holidays at our Barnes nursery. We have a limited number of places per day so if you would like your child to attend, we would advise booking as early as possible to avoid disappointment. If you'd like to learn more about our holiday camps, please follow the link below.